We just introduced Merchandize section on Unocoin.com where you will be able to buy bitcoin related articles and souvenirs using bitcoins in your Unocoin wallet. 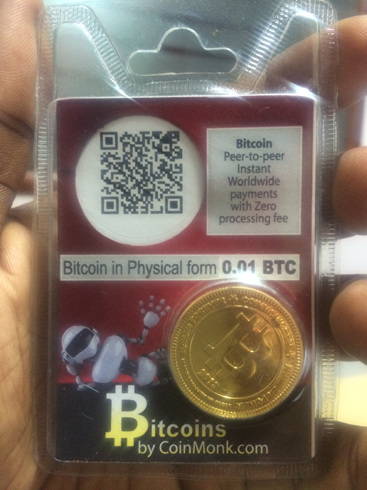 The first item available for now is 5X physical bitcoin by CoinMonk that holds 0.01 BTC each and will be shipped to you anywhere in India free of cost. This is a great and sweet way to introduce someone to bitcoins. The product comes with a bitcoin wallet (paper wallet) of its own along with introduction to bitcoin and its advantages in a leaflet nicely packaged that is surely giftable. Check it out. You can reach Merchandize section through the left menu after you login. Bitcoin Alliance of India (BAI) is a not-for-profit association in India aimed to be “voice of bitcoin in India”. Even though it is an initiative by stakeholders of CoinMonk Ventures Private Limited, it is aimed to become a stand alone and self sustaining body. Lot of other bitcoin traders and bitcoin business/enthusiasts has also expressed their support and are willing to help BAI financially through donations to achieve its goals. You can read about developments of Bitcoin in India since mid-december at a Coindesk article. BAI just completed a press conference headed by Nishith Desai Associates (NDA), the best legal and auditing firm in India, which has aimed to urge govt to declare that bitcoin is not illegal in India and this request is based on techno-legal analysis done by a Bitcoin practice group at NDA. This press conference did help to restore some reputation of bitcoin in India. The next plans of BAI and NDA include a presentation to RBI and governing authorities about bitcoin and what possibly can be done to have govt encourage the use of bitcoins in India. BAI aims to bring lot of other programs that will be beneficial to Indian bitcoin community as a whole in the long run. As BAI is working with the best of the class in every industry as this is not a time to compromise in quality nor take “no” for an answer, BAI is in need of huge funds to support itself and continue to be the voice of bitcoin in India. In an attempt to support BAI, Unocoin by default will be collecting 0.5% of trade value from the customers on every bitcoin buy and sell operations and Unocoin will be matching the same from its profits and hence donate 1% of trade value to BAI. 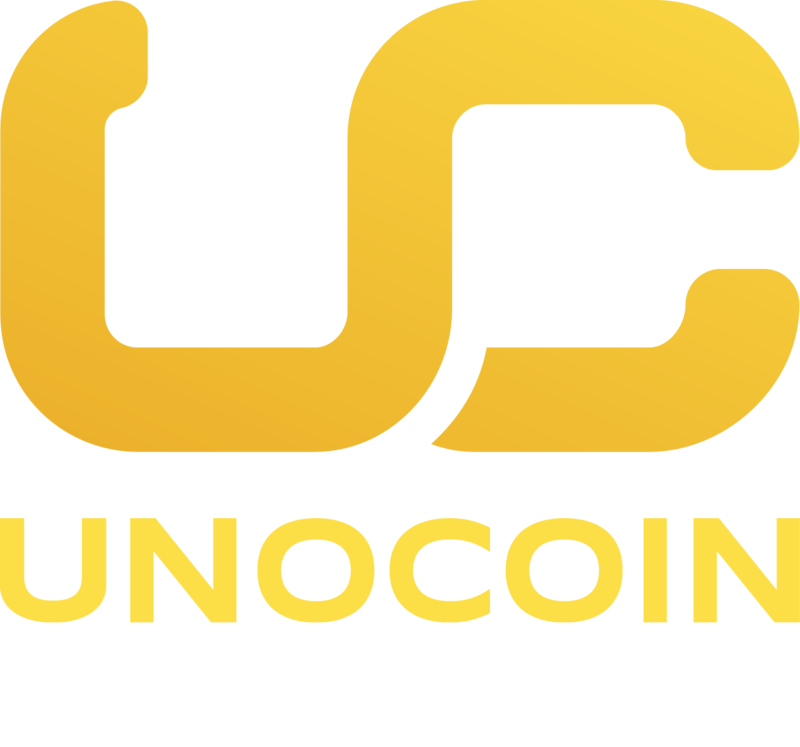 We at Unocoin believe that you as being a valuable and knowledgeable customer will appreciate our efforts, love India more than you love Bitcoin and finally help India not to lag behind technology. Addition: You have an option donate up to 2% or even to opt-out of donations by visiting Settings page on Account-settings menu. What ever you opt for, Unocoin will continue to donate 0.5% towards BAI. Bitcoins Alliance India (BAI), a community of Bitcoin entrepreneurs, welcomes the RBI warning about the risks surrounding the purchase, sale or use of Bitcoins. In light of the recent events, BAI appointed Nishith Desai Associates, an international Legal and Tax Counsellors, to examine the legality of Bitcoins. Similar positions have been taken by Canada, the UK, Norway, Germany, Sweden, Israel, Cyprus, Turkey, Australia, Argentina and several others. Monetary Authority of Singapore has stated that whether or not businesses accept Bitcoins in exchange for their goods and services is a commercial decision and it will not interfere with it. China has restricted only financial institutions from dealing directly in Bitcoins without making it illegal. Bitcoin is cryptographic digital product first described in a 2008 paper by single or group of pseudonymous developer(s) by the name of Satoshi Nakamoto who called it a “peer-to-peer electronic payment system”. Bitcoin creation and transfer is based on open source cryptographic protocol managed in a decentralized manner. The Bitcoins look like currency or money, but it is not. It sounds similar to security, but it is not. It feels like a derivative or a negotiable instrument, but it is not. It’s not pre-paid instrument either. While in the US, Bitcoins are regarded as a commodity, it is doubtful whether it could be considered so in India as it is an intangible property. At best it is a combination of protocol, data, and software program stored at multiple locations. When transacted it involves some kind of bartering. If the Bitcoins themselves are sold for a price in terms of ‘money’, Sale of Goods Act would apply but accepting Bitcoins against goods should not attract the provisions of Sale of Goods Act. Provisions of FEMA would not be triggered especially when the transactions are intra-India. Even importation of Bitcoins would be legitimate if transactions are carried out through proper banking channels. In any event as a commercial transaction the provisions of the Indian Contract Act would have to be complied with. Consequently a transaction in relation to Bitcoins must be for lawful consideration and should not be opposed to public policy. However, exporting goods from India against Bitcoins would not be permissible as the proceeds of exports must be repatriated to India in terms of foreign exchange through normal banking channels. Thus Bitcoins per se are not regulated by any authority as it an ‘internet product’ so to say. It came to us as a bit of surprise that the BAI traders have a stringent KYC (know your client) process which is voluntarily followed by them. It appeared to be similar to the process followed by Indian banks. Further, it has been clarified to us that they would be willing to share all information with regulatory authority in accordance with law. 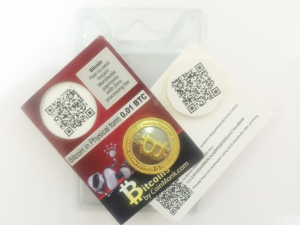 Whether the Bitcoins can be used for illegal trade is a question often asked. Yes, like any other cash it can be. But the cash is simply not traceable except by catching someone with physical possession. Bitcoins are far more traceable than money especially when traded through Bitcoin traders. BAI is committed to develop further standards of openness and transparency in collaboration with the regulators. BAI urges the government to clarify that the Bitcoins are not illegal per se, however, they are saddled with number of commercial risks including its volatility, loss of hardware, digital wallet, etc.